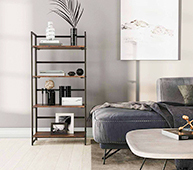 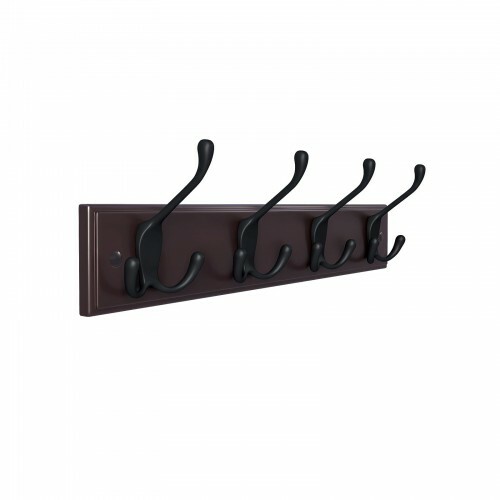 Door knobs covered by coats and scarves, chairs taken by handbags, keys, and hats scattered everywhere…sounds familiardon't worry, SONGMICS wall Mounted coat rack is here to help you get organized and put your items right where you need them. 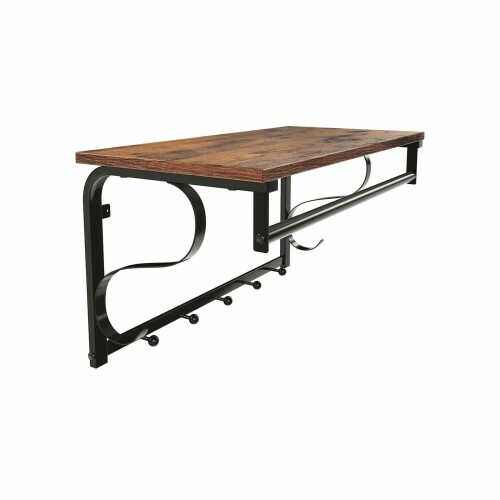 Beautiful design and great value makes this rail a great choice. 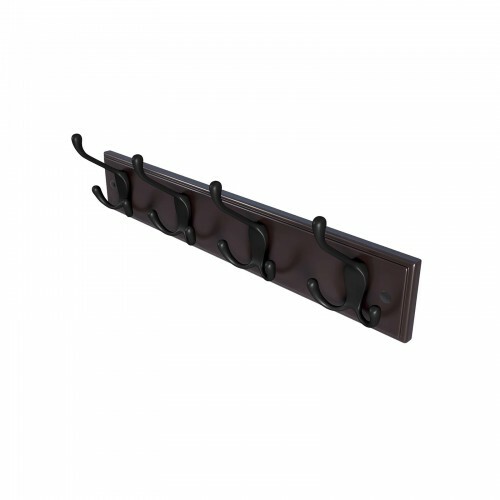 Each rail has 4 hooks with deep curves for increased holding capacity. 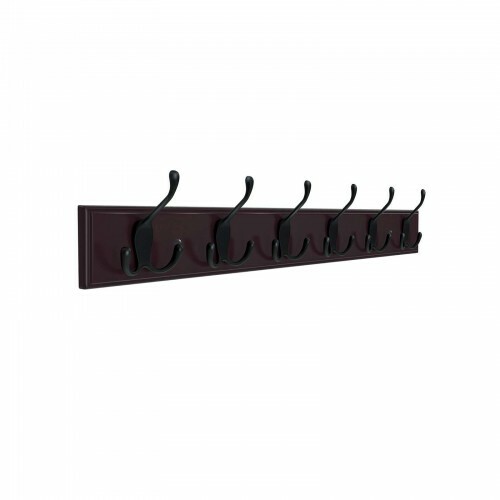 The sleek black hooks and the dark brown base combination is sure to coordinate with your existing decor, making it perfect for foyers, hallways, bathrooms, and bedrooms. 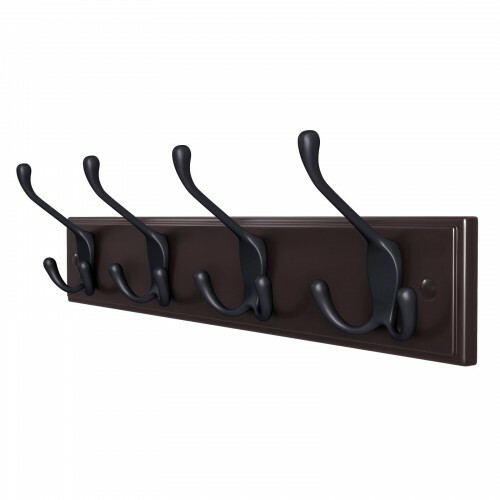 Each hook holds a maximum weight of 6.61lbs when mounted to solid wood or studs. 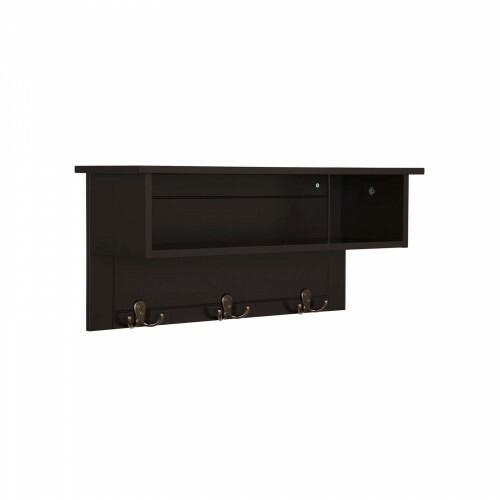 Please mount the product to solid wall or wood studs to enhance loading capacity. 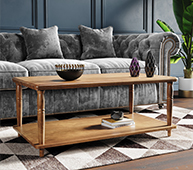 Q:How far apart are the mounting/anchor holes, hopefully 16" std stud spacing? 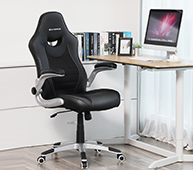 A:It is 16 inches between the mounting holes. 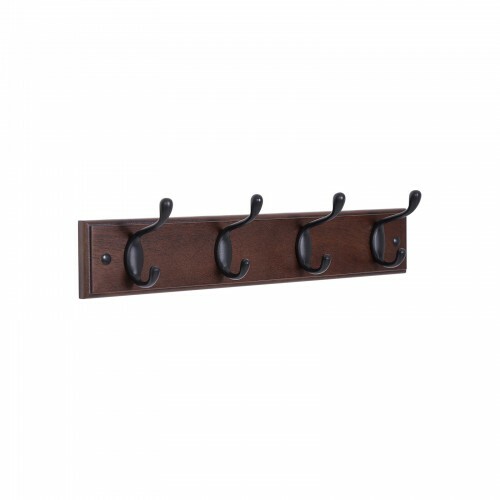 Q:Is there any way to mount on wall without screws? 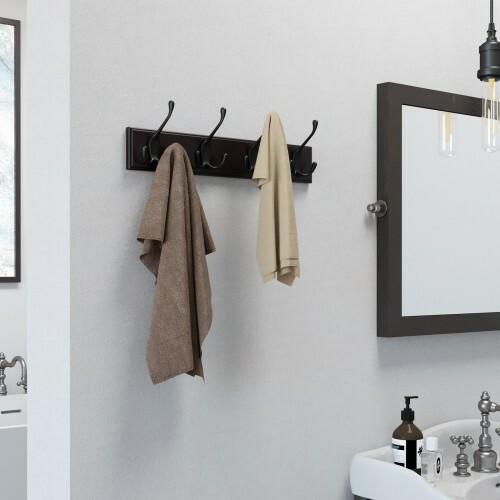 I'm renting a room and can't be putting holes in walls. A:No, putting holes is a must to do things. 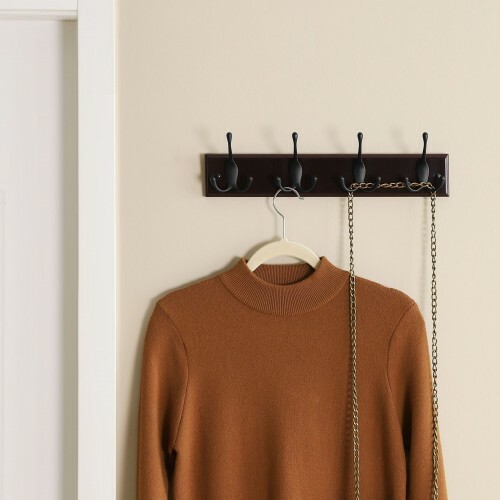 Q:Are the hooks black or brown? 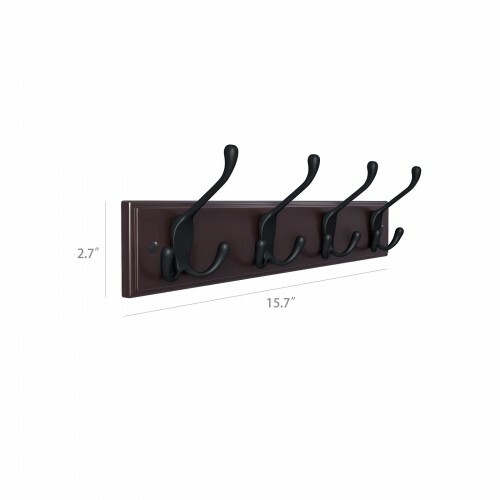 A:The hooks are in dark brown color.